The samurai of the early Edo period were known as much for their pursuit of art, beauty and learning as they were for their skill and ferocity on the battlefield. A prominent example is the great sword-saint Miyamoto Musashi (c. 1584 – 1645), writer, calligrapher and artist. 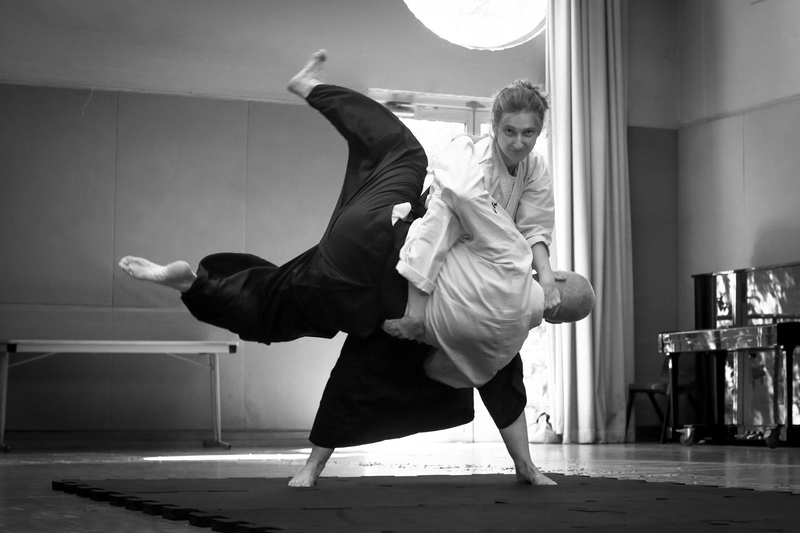 Aikido is sometimes described as the thinking person’s martial art. When the opportunity came to work with the fabulous Australian Brandenburg Orchestra we were eager to get involved. The company is well known for breathing fresh life and vitality into baroque and classical music. Their production Bittersweet Obsessions seeks to take this a step further. 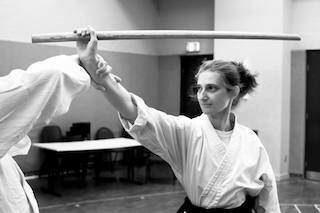 It’s very exciting to be able to present the beauty of aikido as both a cultural art and a devastating form of close combat to support the amazing local and international musicians performing Monteverdi’s Il combattimento di Tancredi e Clorinda. Interestingly, Monteverdi and Musashi were contemporaries. Il combattimento was first produced in 1624, when Monteverdi was 57, living and working in Venice. Around the same time Musashi was 40 years old, living in Edo and applying for a position as sword master to the Tokugawa Shogun. Miyamoto Musashi: Self-portrait c. 1640. Musashi’s prowess as a warrior is undisputed. 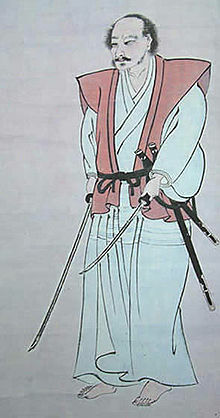 During his musha shugyō between c. 1604 and 1613, Musashi is said to have been undefeated in over 60 duels. Such was his mastery that he typically used a bokken in these encounters, even when his opponent chose to use a shinken. Musashi is famous as the author of the Book of Five Rings and other works on strategy. He is also known as a master of sumi-e. The scroll hanging in our dojo at Aikido in Sydney is a reproduction of one of his best-known works Shrike on a dead branch. The tradition of the warrior-artist persists to this day. One of our more influential teachers, David Brown Shihan, makes violins and shakuhachi. Jim Nicholls, co-founder of the Great Ocean Aikido Community has been a visual artist longer than he has been a martial artist. From our own dojo, Bob Withers is an accomplished 2D and 3D artist whose family includes generations of artists and military personnel. We’ve had a great time so far working with NIDA graduates director Constantine Costi, set designer Charlotte Mungomery and costume designer Genevieve Graham. We’re looking forward to commencing formal rehearsals later this week. If you have the opportunity to come and see the production we will be performing in Sydney and Melbourne from 25 October to 5 November. We’d love to see you there! Find out more about the show, the cast, tickets.